This entry was posted in News and tagged Africa Day, Secretary-General's Message on May 25, 2015 by United Nations. I am pleased to send greetings to all participants at this session of the United Nations Commission on Population and Development. You meet as the international community strives this year to forge a set of sustainable [development] goals and a meaningful new universal climate agreement. These twin priorities will be influenced by the profound demographic shifts taking place in our world, especially those related to youth, the elderly, urbanization and migration. This entry was posted in News and tagged Ban Ki-moon, Commission on Population and Development, development, population, Secretary-General's Message, Wu Hongbo on April 14, 2015 by United Nations. This entry was posted in News and tagged development, peace, Secretary-General's Message, sport on April 7, 2015 by United Nations. This entry was posted in News and tagged genocide, Rwanda, Secretary-General's Message on April 7, 2015 by United Nations. This entry was posted in News and tagged Secretary-General's Message, United Nations Day on October 24, 2014 by United Nations. This entry was posted in News and tagged mental health, Secretary-General's Message, World Mental Health Day on October 10, 2014 by United Nations. This entry was posted in News and tagged Secretary-General's Message, UNHABITAT, Voices from Slums, World Habitat Day on October 6, 2014 by United Nations. This entry was posted in News and tagged Gandhi, International Day of Non-Violence, Mahatma Gandhi, non-violence, Secretary-General's Message on October 2, 2014 by United Nations. 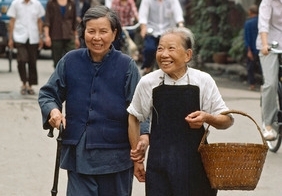 This entry was posted in News and tagged International Day of Older Persons, Leaving No-One Behind, Secretary-General's Message, United Nations Principles for Older Persons, Vienna International Plan of Action on Ageing on October 1, 2014 by United Nations.